This peaceful 3 bedroom 2.5 bath is the perfect spot to sit back and relax. You can enjoy the peace and quiet on the beautiful screened in porch or take in a round of golf and local shopping, the choice is yours. This 1st floor Gem is definitely a step above the rest! Ocean Keyes is a gated community offering a safe neighborhood feel, only 2 blocks from Main St and the beach. This quiet retreat, offers lots of amenities! 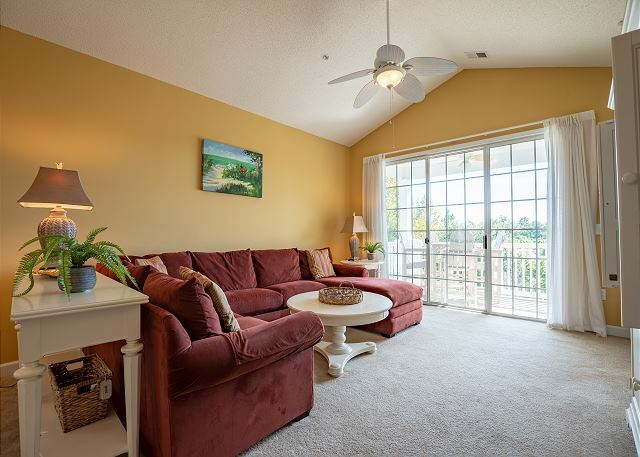 This second story condo, accessible by elevator, offers breathtaking views overlooking the challenging 18th hole and nestles up to salt marshes along the Intracoastal Waterway. This beautiful end unit condo is a ground floor gem (no stairs to climb!). Convenient Screened in patio has a view of the lake and fountain with the community pool is directly behind it. Just sit back, relax and unwind! 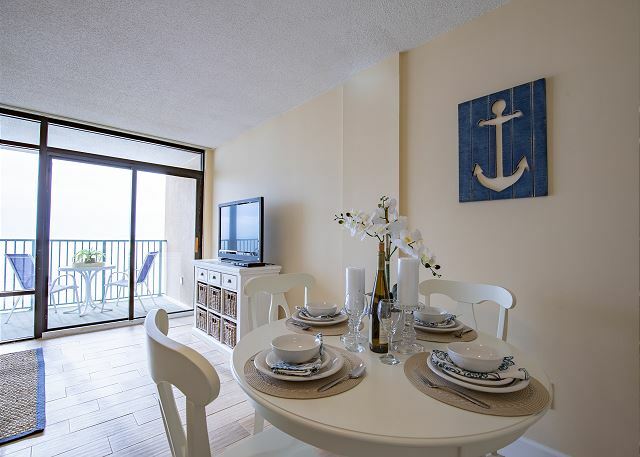 The Verandas #902 is located in the nostalgic Ocean Drive section of North Myrtle Beach. It is a 1 bedroom, 1.5 bath oceanfront condo with a great view of big blue Atlantic Ocean. The master bedroom offers two queen beds w/ flat screen tv & private bath. Lovely 2 bedroom 2 bath at Blue Water Keyes. This 9th floor, side view unit offers a bright and airy escape. Blue water meets blue skies at Blue Water Keyes, just sprinkle in the white sandy beaches. This is the backdrop where your memories will be made! Luxury accommodations await you at North Tower at Barefoot Resort on the Intracoastal Waterway, adjacent to Barefoot Landing. Gourmet kitchen with granite counter-tops, spacious open floor plan. Enjoy this 4th floor condo with all the bells and whistles. Amazing 12th floor sweeping views to the sea! This condo is elegant and comfortable and will provide you with a home away from home kind of feel! There are flat screen TV's, free WiFi with a washer/dryer in the condo for your convenience.